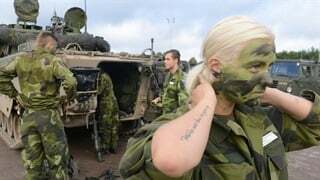 NATO allies and a handful of partner countries are gearing up for the alliance's largest joint military exercises in decades. "I fully expect that they'll want to come. It's in their interests to come and see what we do," Admiral James Foggo told reporters at the Pentagon Friday, "They'll learn things. I want them to be there so they can see how well [NATO allies and partners] work together." "There's a strong deterrent message here that will be sent," he said. "They are going to see that we are very good at what we do, and that will have a deterrent effect on any country that might want to cross those borders, but especially for one nation in particular." 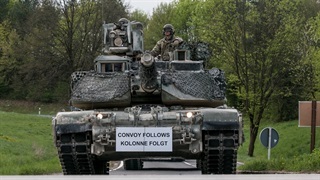 Although it was previously reported that these exercises are the largest NATO drills since the Cold War, they are actually the biggest since 2002, Foggo clarified at Friday's briefing. 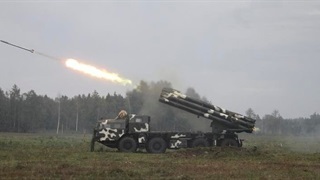 The allied drills come on the heels of massive war games in eastern Russia involving tens, if not hundreds, of thousands of Russian and Chinese troops preparing for large-scale military operations against an unspecified third country. 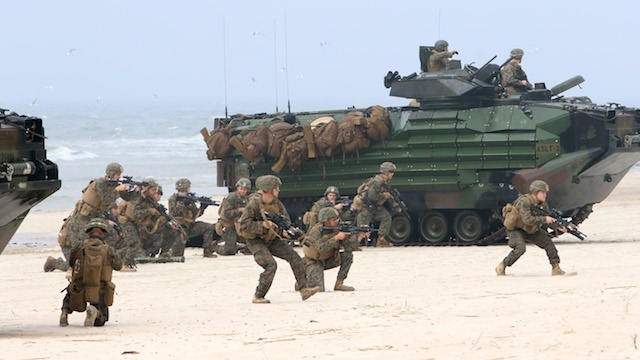 The purpose of Trident Juncture, according to handouts presented at Friday's briefing, is "to ensure that NATO forces are trained, able to operate together, and ready to respond to any threat from any direction."